What does it cost to come to camp? How is cabin placement determined? Which cabin/village will my child be staying in? Can my child be in a cabin with his/her best friend or relative? Who will my children have as counselors? What is the level of supervision? How does Frost Valley prevent strangers? Are there storage spaces in the cabins? Are the cabins heated and do they have electricity? What kind of boots does my child need for horseback riding? What are the camp activities? How far in advance does my child need to obtain a physical? Does my child need to bring his/her own nebulizer? How often is mail delivered? What can I send in a care package? What food is served at Frost Valley? Making new friends is an essential part of the camp experience and cabin assignments are the key to creating a positive camp environment. Frost Valley’s program is age specific and progressive in nature. 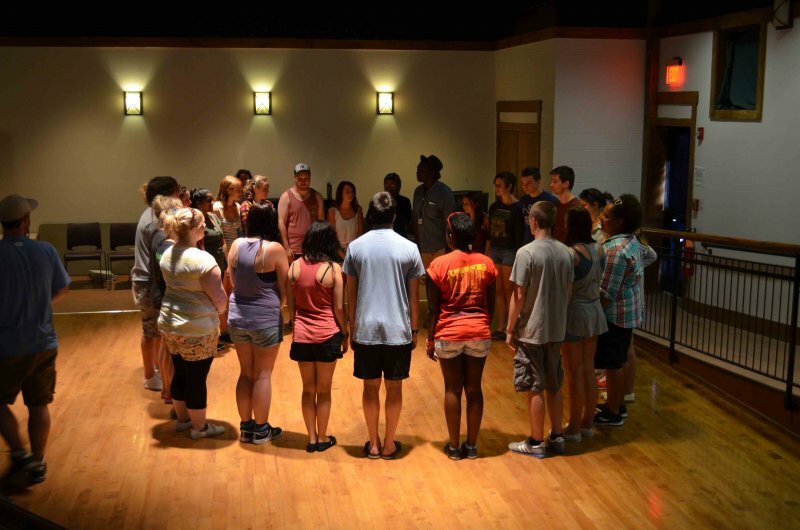 Campers are placed in groups of eight with two staff members assigned to each cabin group. Lodging varies from group to group. Some campers live in independent cabins clustered together to make up a Village. Others stay in larger lodges where multiple groups live together. Each camper has his/her own bunk and storage area. Villages consist of cabin groups of children the same age. Therefore, grouping campers by age is required. Frost Valley YMCA will make every effort to honor special requests for cabin mates but due to the amount of campers registered per session we do not guarantee any placements. Frost Valley YMCA places campers in cabin groups based on the following criteria: 1) One mutual request made by 2 campers who are the same age. 2) Age (all campers in a cabin will be less than 12 months apart) Camper’s grade is not considered in cabin assignments. Requests by campers who are more than 12 months apart to be together may be honored, but the older child will be placed with the younger camper’s age group. We will do our best to honor one mutual request. However, there are many other factors involved in cabin placement (see above). 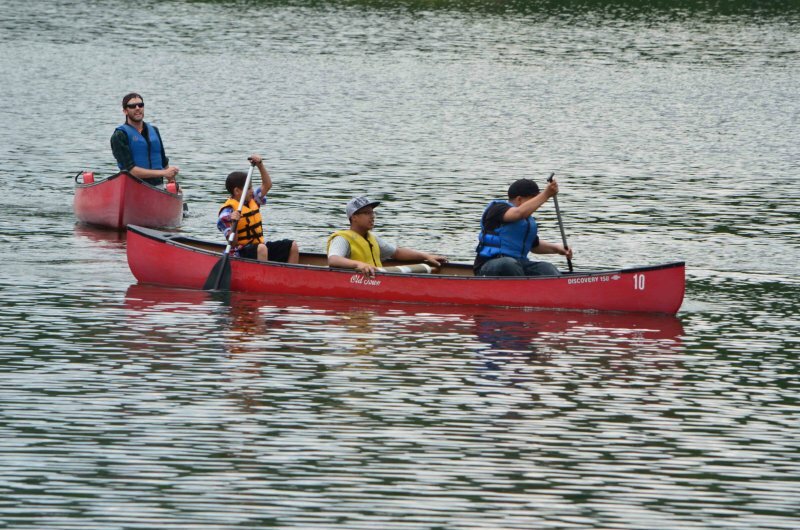 The Frost Valley YMCA camp community is an exciting mix of cultures, backgrounds, and abilities. Staff travel from across the country and around the world to join us—from California to Maine, and as far afield as South Africa and New Zealand. All applicants undergo an extensive interview, reference, and criminal history check process. Once hired, employees receive rigorous training which includes: Health and Safety Awareness, Emergency Procedures, Behavior Management, Activity Leadership, the Wellness Philosophy, Team Building, and Age Specific Youth Challenges. Lifeguards are recertified annually. The horse barn staff follows the rules of the Certified Horsemanship Association (CHA). And ropes course supervisors meet all Association for Challenge Course Technology (ACCT) standards. Our goal is to ensure successful camping experiences for each camper. All staff undergo intensive background and criminal history checks. International staff must have J-1 authorization from Immigration and Naturalization. 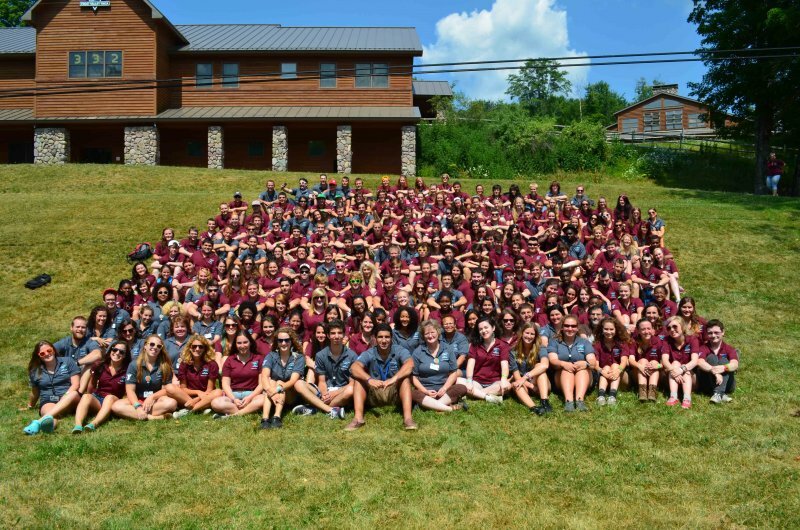 Our staff is expected to share Frost Valley YMCA’s mission and vision, and are dedicated to bringing your children the best camping experiences possible. This facility meets all guidelines, policies and procedures as mandated by the American Camping Association (ACA) and the Department of Health. Level of supervision is high with a 1:4, counselor-camper ratio. Campers remain supervised even during down-time and rest periods. Safety is a top priority at Frost Valley YMCA. 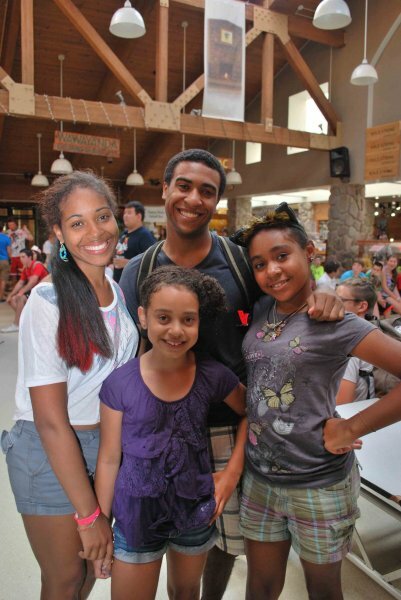 Frost Valley’s Summer Camp program has a counselor-camper ratio of 1:4, exceeding Department of Health standards. We employ 18 lifeguards, all of whom are re-certified annually, regardless of their experience. The horse barn staff, all of whom are Certified Horsemanship Association (CHA) certified, are supervised by a master trainer. Children must all wear safety gear, including helmets, without exception. Our ropes courses are extremely well-supervised. There are three ropes supervisors, all expert in taking safety measures and necessary precautions. Belaying policy and procedure is dictated by the Association for Challenge Course Technology (ACCT). Staff are very sensitive about identifying authorized and non-authorized individuals on campus. Staff are in constant contact with one another, and with the administration, via hand-held radio. Frost Valley YMCA runs a “closed campus” during summer session, therefore, any strangers would be readily identifiable. 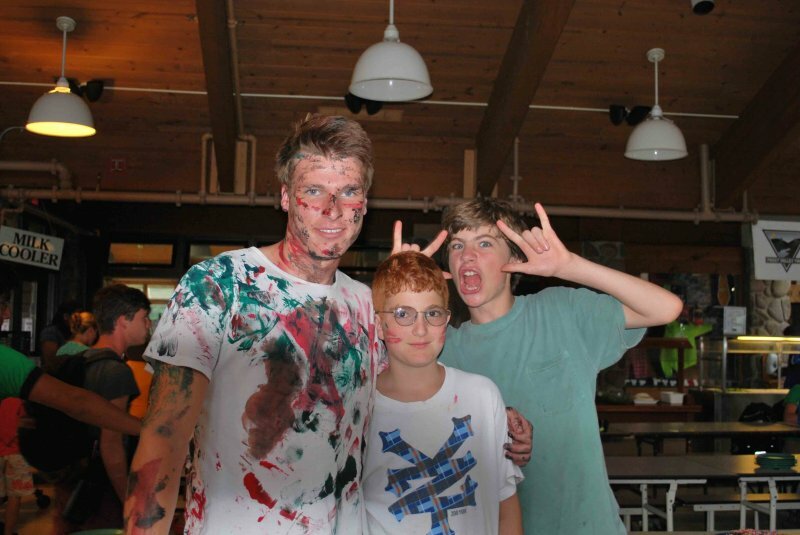 Conferences, retreats, and adventure events can coincide with summer and day camp events. In the event that this should occur, procedures are in place to safeguard our campers. All other guests are required to wear name tags and color-coded wristbands identifying the program in which they are enrolled. Additionally, their vehicles are registered with Frost Valley’s conferencing center. This ensures an increased awareness of whom is on the campus at any given time. Trespassers are immediately identified, approached, and asked to vacate the premises. Guided tours of the facility are available via appointment only. There are eight to ten campers in each cabin group. Yes. Space varies for different cabins and lodges. Each camper will have a cubby for personal items and a place to hang jackets, towels, etc. A trunk or large duffel bag are good choices to bring in order to store your clothing. Are the cabins heated? Is there electricity? Cabins and lodges are heated, have electricity and outlets, hot running water, and are equipped with flushing toilets and screened windows. Any sturdy boots with heels: riding boots, hiking boots, or work boots. Do not bring sneakers, sandals, dress shoes, or open-toed shoes of any kind. Please see our Daily Schedule. How far in advance does my child need to have a physical? Within the 12 months prior to the date your child arrives at camp. Does my child need to bring their own nebulizer? Yes. You are responsible for sending all medication and medical equipment required for your child’s health and well-being. Please see our medication policy for further details. Mail is sorted and delivered daily (when the local post office is open). Mail is delivered to campers by their Village Chief and counselors daily. You can also email your camper with our one-way email system. Toys, stuffed animals, cabin decorations, and letters are all great options. We discourage valuable items, which may get lost or broken at camp, and food items as they attract animals. Junk food is not allowed. At Frost Valley YMCA, campers are discouraged from eating foods with zero or little nutritional value, a.k.a. junk foods. Candy, soda and snack food are neither served in the Dining Hall nor sold in the Camp Store. Instead, Frost Valley’s fabulous food service staff serve three wholesome meals daily, with special features including morning breakfast bars, lunch and dinner salad bars, and alternative vegetarian/vegan menus. The Frost Valley Food Service is an integral part of every participant’s experience. The dining hall is not just a place to eat, but a key component to the educational experience. Frost Valley composts all of its food waste. Campers participate in this process by separating their organic from non-organic waste. Through these activities we hope to increase awareness and understanding of the resources around us. The Dining Hall staff is sympathetic to our campers’ dietary concerns and food allergies. If you have a food concern please contact our Food Service Director at goodfood@frostvalley.org, or call: (845) 985-2291 ext. 230. Frost Valley’s food service is managed by Chartwells Educational Dining Services, who provide nutrition planning and food service to independent schools and colleges, corporate dining clients, and private organizations.